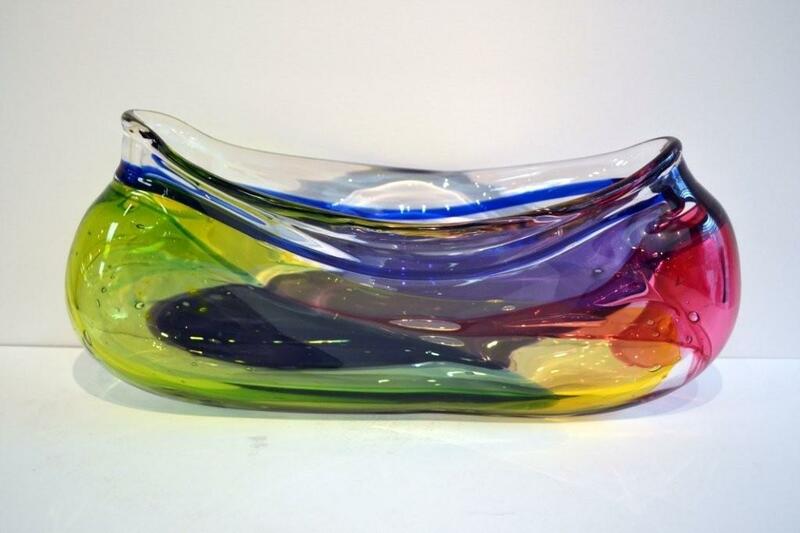 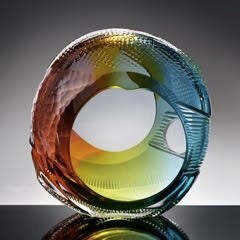 Born in Toledo, Ohio, in 1945, Leon Applebaum grew up in what would become the birthplace of American studio glass. 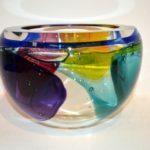 While an art student in Toledo, Leons’ dream of becoming a high school art teacher was shattered upon enrolling in his first hot glass class. 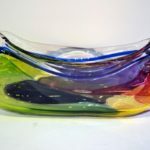 Leon was instantly intrigued by the molten material, resulting in an addiction to working hot glass that would shape and define the rest of his life. 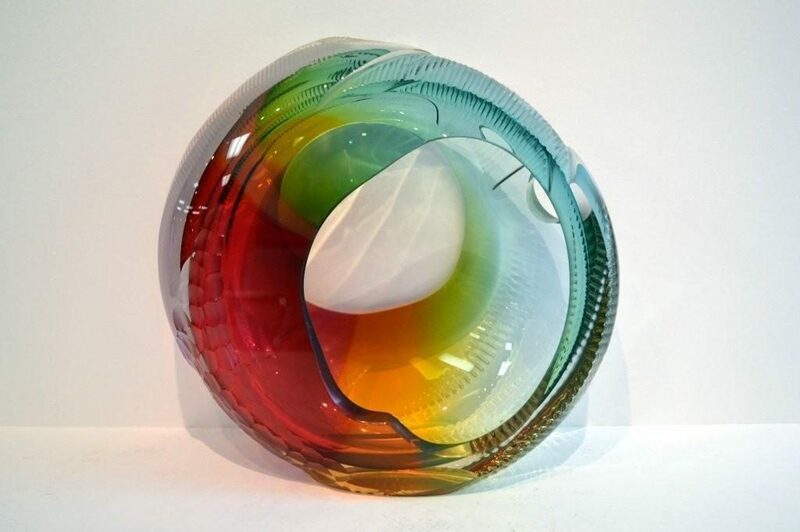 In Leon’s contemporary sculpture series, he uses glassblowing as a means, not an end. 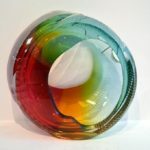 Leon uses cooled blown pieces that are cut into elemental forms and assembles them using ultraviolet glue. 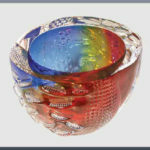 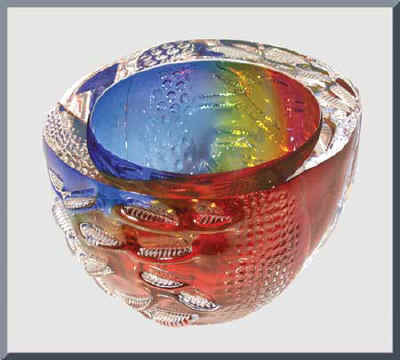 This technical approach offers great freedom to explore and execute ideas that are not possible with hot glass. Leon’s sculptures use circular forms reflecting the cyclical nature of life. 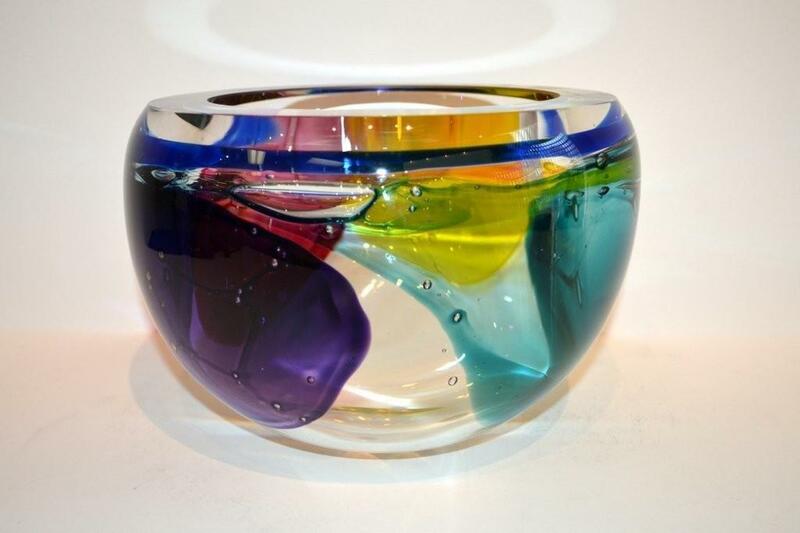 With eyes toward the future, Leon plans to focus his energy on sculptural glass.